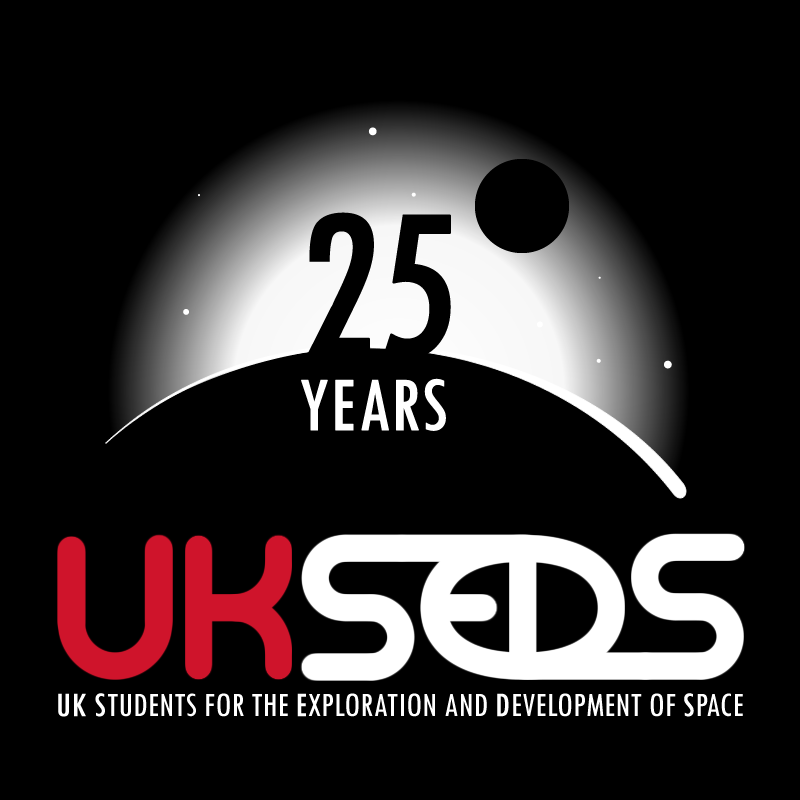 UKSEDS was formed in 1988 as the UK chapter of SEDS, the world’s largest space enthusiast organisation for both school and university students. SEDS was founded in 1980 by students at MIT and Princeton University and now has more than 60 chapters worldwide. In 2013, UKSEDS celebrated its 25th anniversary, and we’ve got in contact with former committee members who told us a little about UKSEDS’ story. UKSEDS then began in 1988, when several students who had attended the ISU made the decision to set up the organisation in this country. A founding conference was held in March 1989 at London’s Science Museum, with a full conference at Cambridge University in November of that year. “As for the genesis, I believe the impetus originated from the general space evangelism instilled in the first one or two groups of British alumni of ISU, maybe Jane Deakin, Julia Hunter, etc. I recall that SEDS in the USA had been started by Peter Diamandis, who was also the founder of ISU. It wasn’t immediately obvious to everyone they discussed the idea with that such an organization was needed (given that some of us were in the BIS and RAeS already) but there was a wish to have a perhaps more energetic, student-driven initiative.” — Dr Ralph D. Lorenz, Publications UKSEDS (Founding) Committee 1988-89, now at Johns Hopkins University Applied Physics Lab, USA. 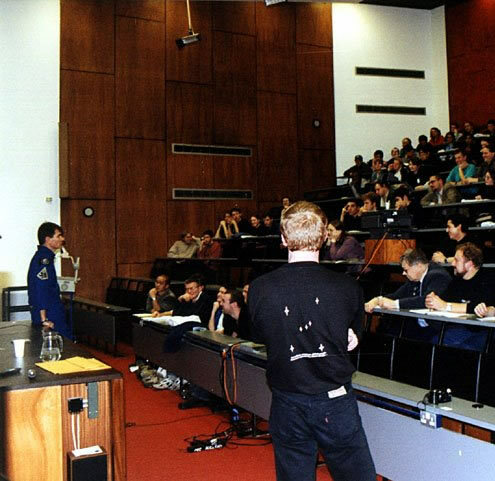 At the 1990 UKSEDS conference in Bristol, the UKSEDS membership voted to affiliate UKSEDS with the Space Education Trust (SET), who worked to raise funds to send UK students to the ISU Summer Session Programme each year, and to promote the subject of space throughout the UK. The Society also began attracting new generations of members from Space School, which had started in 1989. UKSEDS has also held a number of exchanges with the Russian ‘Soyuz’ organisation, which have seen UKSEDS members travel to Russian space facilities in Moscow, Samara and elsewhere. The Fluid Loop Actuator (FLA) – run by UKSEDS members at the University of Kent & Canterbury High School, to develop a device to assist astronauts in zero-gravity. It was test flown on parabolic flights by the European Space Agency (ESA) in 1993. ASPIRE I – a sounding rocket developed by UKSEDS members from the Universities of Bath, Bristol, Cambridge & Kent. Sponsored by Serco Space, British Airways, the University of Bristol, Irvin Parachutes, ICI and Dynamit Nobel, ASPIRE I was flown in 1992. It once held the UK amateur rocketry records for speed & altitude. UKSEDS has also previously conducted feasibility studies on Solar Sails, GAS (Get Away Special) Can payloads for the Space Shuttle, microsatellites, and a Von Neumann Probe. 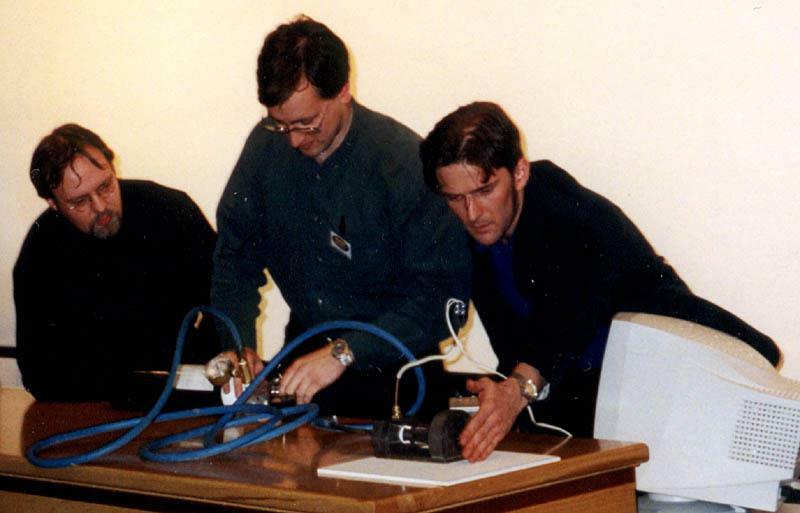 In the early 1990s, UKSEDS also attempted an educational microsatellite. “Espy was a small aerostabilised microsatellite intended for LEO launch and a short life, with the objective of engaging as many educational organisations (schools particularly) with the project as possible. It was to make a few basic readings and transmit them via a Yagi antenna built into the aerostabilising cone.” — Guy Gratton, Chair of Southampton SEDS 1991/92, now Head, Facility for Airborne Atmospheric Measurements, Cranfield. Unfortunately by 1993, it seemed UKSEDS was struggling to continue. Dr Chris Welch told me: “In the post ‘Project Juno’ glow, I think, the conference was being held at Brunel University. I had gone over there to lecture and was trying to run away in the afternoon as it was my birthday party that evening. As I was leaving, Dev Mohindra told me that they were going to have a committee election but that no-one would stand as chair, and that if the post was unfilled, UKSEDS would have to fold.” Chris stepped in and became Chair in 1993/94, then again in 1994/95. Likewise there was a struggle in the late nineties where Mark Bentley stepped in during 1999/2000 as Chair. “This was the key moment when Chris stepped in as Chair and saved us! This helped the transition to the ‘internet-lubricated’ era. 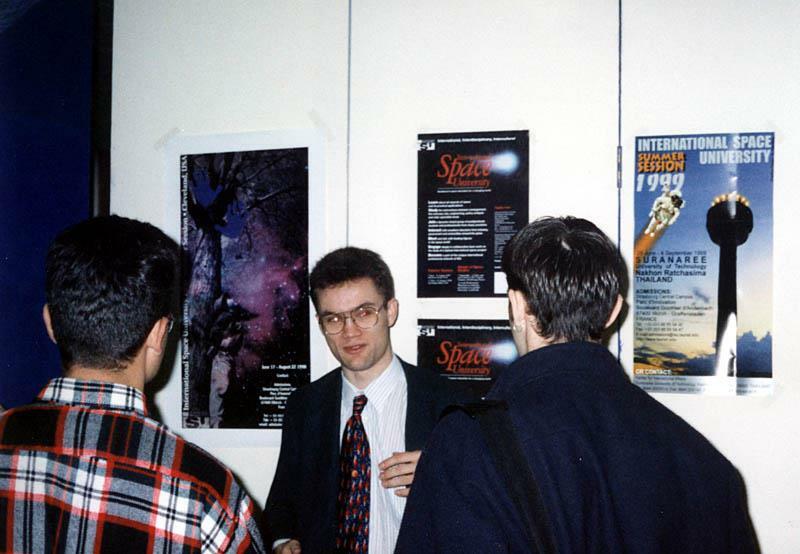 Before that, a lot of effort was expended dealing with printed newsletters and communication by post and telephone.” – Dr Andrew Ball, UKSEDS Secretary, 1994-1996, now working on Mars exploration for the European Space Agency in the Netherlands. “Don’t underestimate the input Chris Welch and Mark Bentley had. Those two were absolutely critical in the survival of UKSEDS. 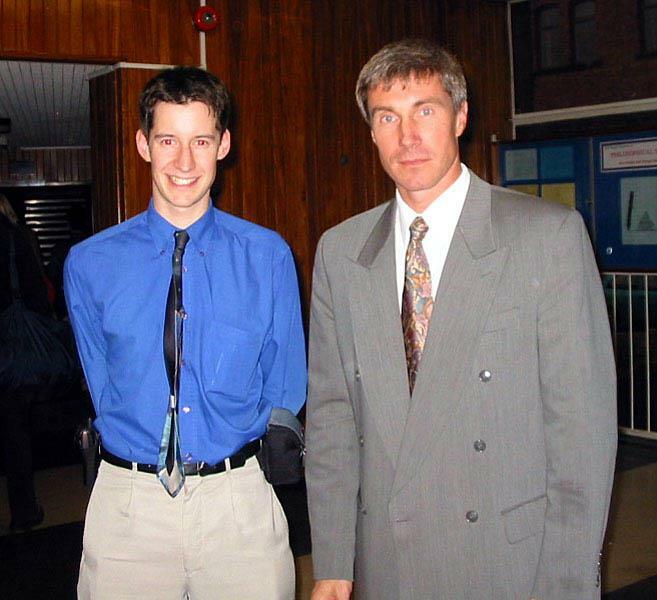 And we owe the continued existence of UKSEDS to Chris and Mark.” — Richard Osborne, BIS Council Member, UKSEDS Project Officer 1995/96. These days, UKSEDS is still involved in a wide variety of projects, including the UKube-1 payload (myPocketQub442), REXUS: PoleCATS (Rocket EXperiments for University Students: Conceptual And Tiny Spectrometer), High Altitude Balloons (including Bristol SEDS’ Device for Upper Tropospheric Solid Testing (DUST) payload), the UK Space Science Heritage Project and asteroid search campaigns through the International Asteroid Search Collaboration (IASC). Recently the UKSEDS membership, along with the BIS Council, passed a Memorandum of Understanding (Spaceflight, January 2013). This has been something that had been previously talked about as early as 2007 with Victoria Lowe (née Reid) and Alison Gibbings as Chair and Vice-Chair, respectively. It has long been understood, although not formally made so, that we share some common goals; namely that BIS could benefit from UKSEDS young and aspiring members and that UKSEDS could benefit from the experience of BIS Fellows (many of whom are UKSEDS alumni). “Is it already 25 years since UKSEDS was set up? It doesn’t seem like that long ago although admittedly a lot of things have taken place in the meantime.” — Jason Hatton, Vice Chair UKSEDS (Founding) Committee 1988-89, now the Biology and Environmental Monitoring Science Coordinator in the ISS Utilisation and Astronaut Support Department, as well as Directorate of Human Spaceflight and Operations at the European Space Agency ESTEC (HSO-USB).